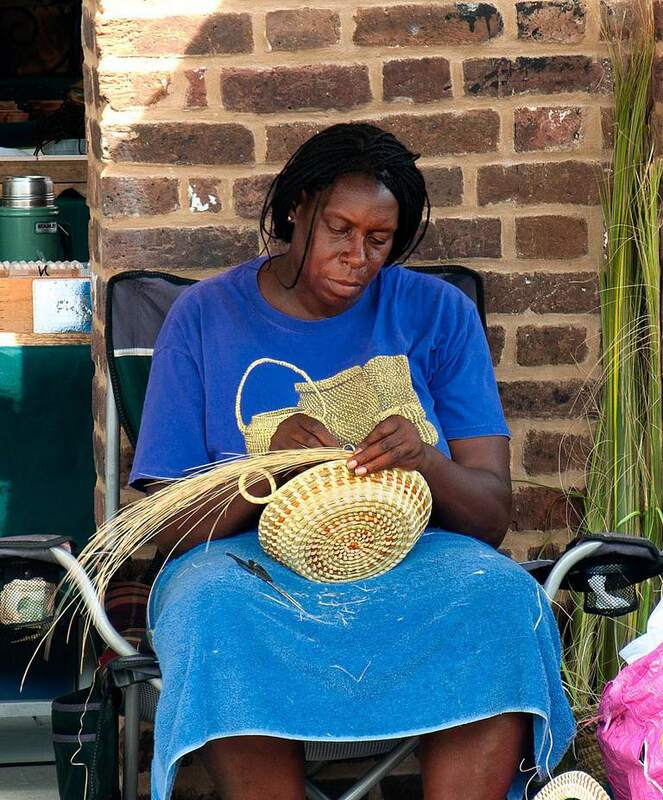 A gullah woman makes a sweetgrass basket in Charleston's City Market. The Gullah people of South Carolina and Georgia have a fascinating history and culture. Also known as the Geechee, the Gullah are descended from African slaves who were prized for their ability to grow crucial crops such as rice. Due to geography, their culture was largely isolated from white society and from other slave societies. They are known for having preserved a tremendous amount of their African traditions and language elements. Today, approximately 250,000 people speak the Gullah language, a rich mixture of African words and the English that was spoken hundreds of years ago. The Gullah are currently working to ensure that future generations and the general public know about and respect the Gullah past, present, and future. The Gullah people inhabit many of the one hundred Sea Islands, which stretch along the Atlantic Ocean coasts of North Carolina, South Carolina, Georgia, and northern Florida. These marshy tidal and barrier islands have a humid subtropical climate. 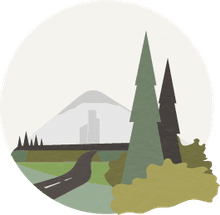 Sea Island, St. Helena Island, St. Simons Island, Sapelo Island, and Hilton Head Island are some of the most important islands in the chain. Eighteenth-century plantation owners in South Carolina and Georgia wanted slaves to work on their plantations. Because growing rice is a very difficult, labor-intensive task, plantation owners were willing to pay high prices for slaves from the African "Rice Coast." Thousands of people were enslaved in Liberia, Sierra Leone, Angola, and other countries. Before their voyage across the Atlantic Ocean, the slaves waited in holding cells in Western Africa. There, they began to create a pidgin language to communicate with people from other tribes. After their arrival in the Sea Islands, the Gullah blended their pidgin language with the English spoken by their masters. The Gullah grew rice, okra, yams, cotton, and other crops. They also caught fish, shrimp, crabs, and oysters. Gullah had some immunity to tropical diseases like malaria and yellow fever. Because plantation owners did not have immunity to these diseases, they moved inland and left the Gullah slaves alone in the Sea Islands for much of the year. When the slaves were freed after the Civil War, many Gullah bought the land that they worked on and continued their agricultural way of life. They remained relatively isolated for another one hundred years. By the mid-20th century, ferries, roads, and bridges connected the Sea Islands to the mainland United States. Rice was also grown in other states, reducing the rice output from the Sea Islands. Many Gullah had to change their way of earning a living. Many resorts have been built in the Sea Islands, causing lingering controversy over ownership of the land. However, some Gullah now work in the tourism industry. Many have left the islands for higher education and employment opportunities. Supreme Court Justice Clarence Thomas spoke Gullah as a child. The Gullah language has developed over four hundred years. The name "Gullah" probably derives from the Gola ethnic group in Liberia. Scholars have debated for decades over classifying Gullah as a distinct language or merely a dialect of English. Most linguists now regard Gullah as an English- based Creole language. It is sometimes called "Sea Island Creole." The vocabulary is comprised of English words and words from dozens of African languages, such as Mende, Vai, Hausa, Igbo, and Yoruba. The African languages also greatly influenced Gullah grammar and pronunciation. The language was unwritten for much of its history. The Bible was recently translated into the Gullah language. Most Gullah speakers are also fluent in standard American English. The Gullahs of the past and present have an intriguing culture that they deeply love and want to preserve. Customs, including storytelling, folklore, and songs, have been passed down through generations. Many women make crafts like baskets and quilts. Drums are a popular instrument. The Gullahs are Christians and attend church services regularly. Gullah families and communities celebrate holidays and other events together. The Gullah enjoy delicious dishes based on the crops they traditionally grew. Great efforts have been made to preserve the Gullah culture. The National Park Service oversees the Gullah/Geechee Cultural Heritage Corridor. A Gullah Museum exists on Hilton Head Island. The story of the Gullahs is very important to African-American geography and history. It's interesting that a separate language is spoken off the coast of South Carolina and Georgia. The Gullah culture will undoubtedly survive. Even in the modern world, the Gullah are an authentic, unified group of people that deeply respect their ancestors' values of independence and diligence.